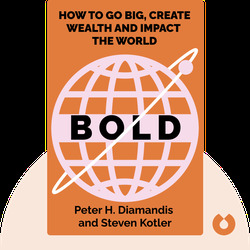 Bold (2015) is a guide to creating wealth by using today’s most impactful, cutting-edge tools: exponential technologies. Using real-life examples and step-by-step guides, the blinks explore how to transform start-up concepts into billion-dollar companies. 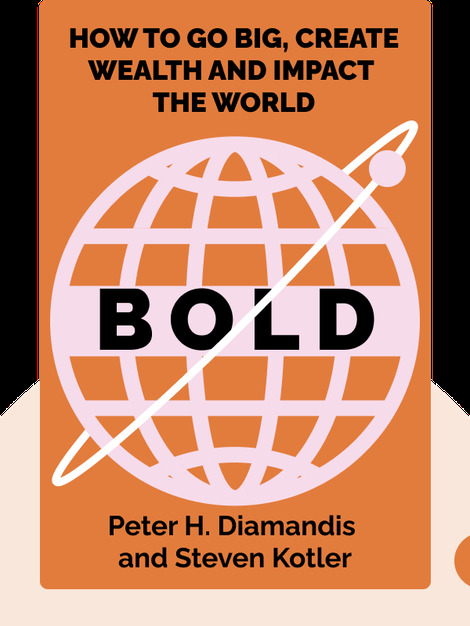 Peter H. Diamandis, founder of the X Prize Foundation and co-founder of Singularity University, is an engineer, entrepreneur, physician and space enthusiast. He also co-authored the bestselling book Abundance, with Steven Kotler. Steven Kotler is a journalist, entrepreneur and author, who, in addition to co-authoring Abundance, has published articles in The New York Times Magazine and Wired.